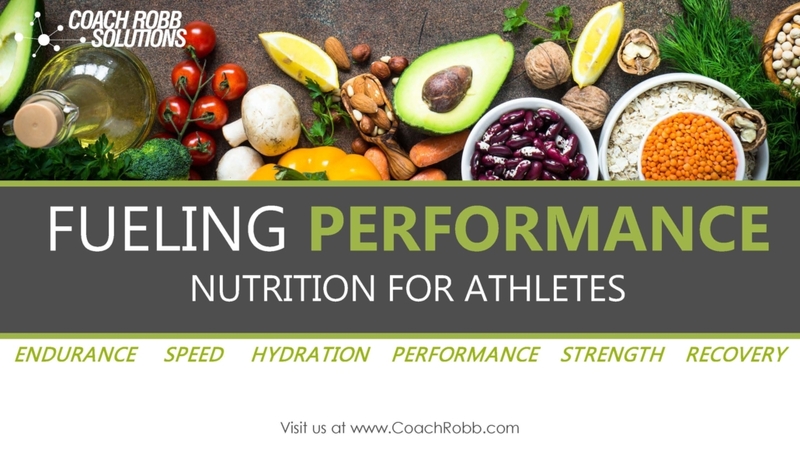 Welcome to the Fueling Performance virtual class with Coach Robb! You will get a completely new perspective about the science associated with dropping unwanted body fat, building lean muscle, improving your strength to weight ratios while enjoying faster speeds and increased endurance. Coach Robb will drill down on the key components of nutrition and hydration and how each will enhance your performance results quickly. Coach Robb also walks you through how training intensity, duration and frequency has to be managed in a way to keep your body’s overall stress level under control in order for you to continue your progression of improvement from training cycle to training cycle. After attending this virtual class, you will have a better understanding of how quality and quantity of food, hydration, sleep and sport specific training develops an athletic body from the inside out. Coach Robb will walk you through his proven process of building “athletic durability and maturity” through health, wellness and then performance protocols in a simple, easy to follow format.